Last week I read the wonderful The Van Apfel Girls Are Gone by Felicity McLean. This is an atmospheric read about a summer in 1992 when three girls disappear from a small Australian town. McLean evokes such a strong sense of time and place in this novel: Lindy Chamberlain’s story dominating the news, the feel of long Australian summer days, and the emotion of narrator Tikka Molloy who is balancing precariously between childhood and adulthood. Part coming-of-age, part mystery and part Australian history, this novel is beautifully constructed and conjures up a past era. This is the perfect read for those that have enjoyed Jane Harper’s or Sofie Laguna’s novels; it is a gift for escaping and reminiscing. 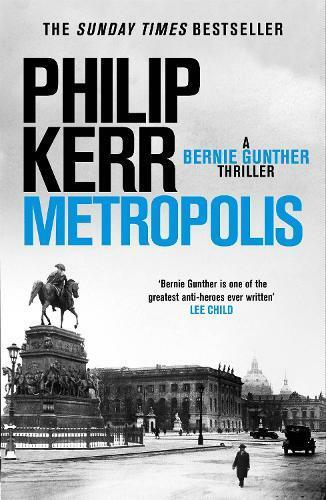 I’ve just finished the 14th and last book about the wartime German detective Bernie Gunther, Metropolis, by the late Philip Kerr. It’s Berlin, 1928, and Bernie has been transferred from vice to homicide and put on the case to track down a killer terrorising young women by scalping them. Berlin is almost a lawless city: the Weimar Republic is in its last throes, Hitler and his Brownshirts are on the rise, and corruption is rife. It’s a city where you can, if you have the money, get whatever you want, whenever you want. I’ll miss Bernie, but this is a wonderful send-off. If you haven’t read Kerr, this is a wonderful way to start. I’m reading Seven Types of Ambiguity by Elliot Perlman at the moment (I know, I know, I’m very late to the game – it was published in 2003 so I really should have read it way before now). I picked it up because Elliot is going to be involved in a very exciting Foundation fundraiser we’ll be announcing next week. The cover blurbs talk it up big time: ‘Shakespearean’, ‘a tour de force’, ‘one of the 50 most important writers in the world’. This is big, enormous writing, told from seven different points of view. It explores the idea of what it takes to fracture a psyche, and the small step-by-step process people take towards doing something massively wrong. I’m only one seventh of the way in, but so far, it’s excellent.